Assagao Bay by the Rose Nomad. Assagao is a quiet village in the northern part of Goa, possessing a rustic, idyllic charm uncharacteristic of its counterparts. Surrounded by hills and dense in foliage, the appeal of this quaint town has been on a gradual incline over the past few years. Consequently, so has the number of hotels and establishments in the area. 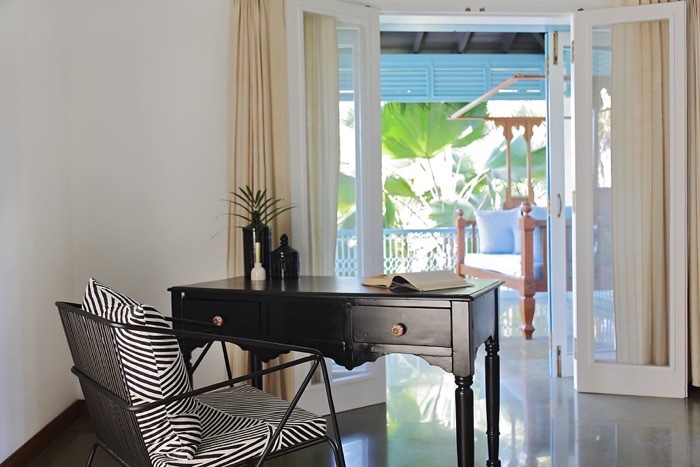 Our favourite entrant amongst these has been Assagao Bay by the Rose Nomad – an intimate four-bedroom retreat by Pio Coffrant. Blurring the boundaries between the inside and outside. 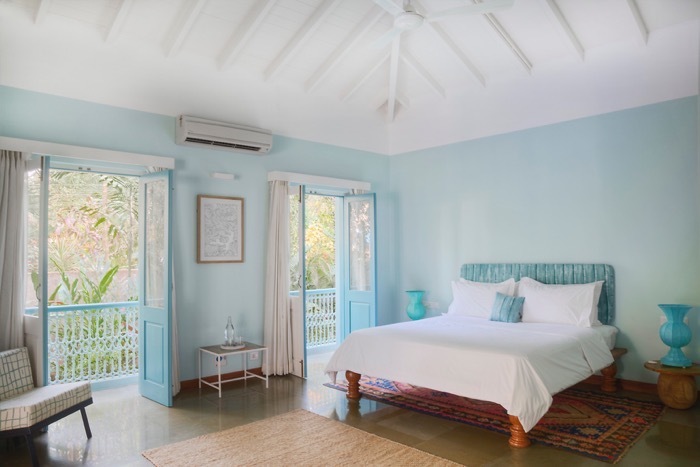 Soft-hued blues to represent the Goan coast. 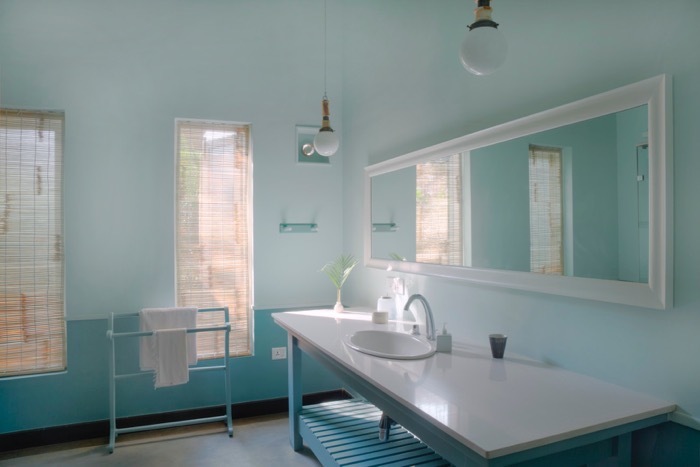 Complimenting Bathroom in a soft muted blue. 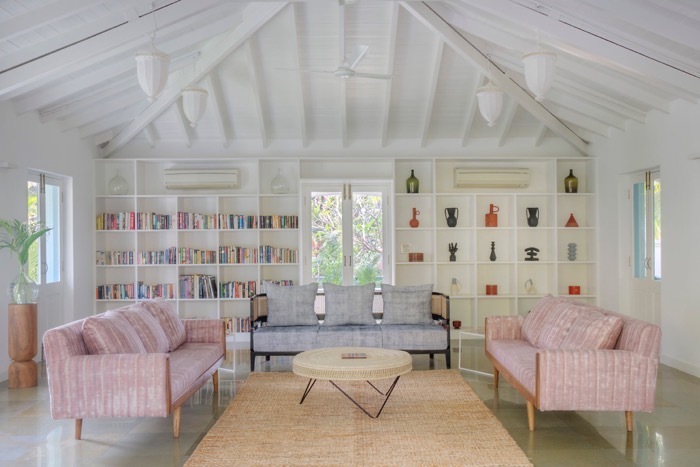 Complementing this wilful abundance of lightness, Coffrant chose to work with a soft-hued colour palate that encapsulated the essence of Goa’s tropical nature. 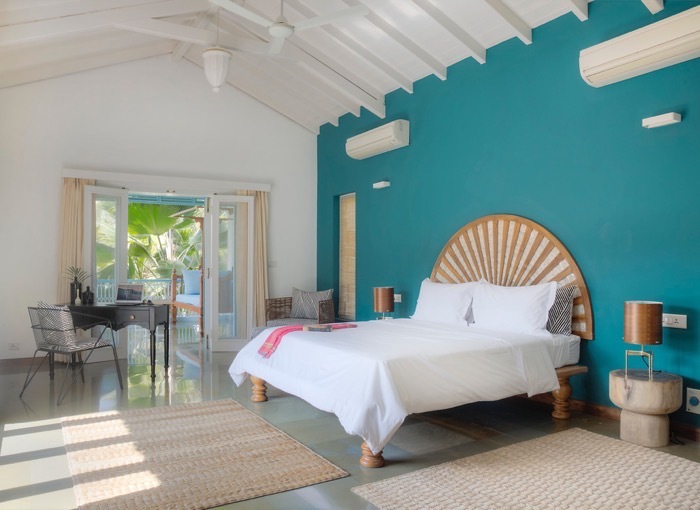 The structure is primarily white, with shades of blue, yellow and brown used liberally across the interiors to reflect both the tropics and water in its various forms. Mindful of his bucolic surroundings, Coffrant’s design for the house strikes a perfect balance between contemporary and earthy. While the warm, vaulted ceilings and wicker furniture evoke a sense of nostalgia, the jewel-toned pool and black metal chairs are refreshingly modern. Shell-work on the headboard inspired by Indo-Portuguese design. 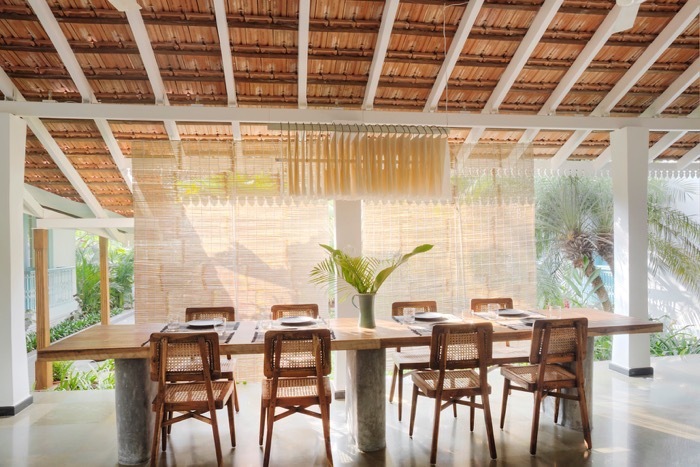 Subtle nods to the Goan design tradition are present throughout the interiors. “There is one element of Indo Portuguese houses which has always fascinated me – the wood and shell work around the windows. The shapes are multiple, the colours vary, but there is grace and timelessness to them which I love. I decided to make headboards in two of the bedrooms along those lines, using wood and shells.” says Coffrant. 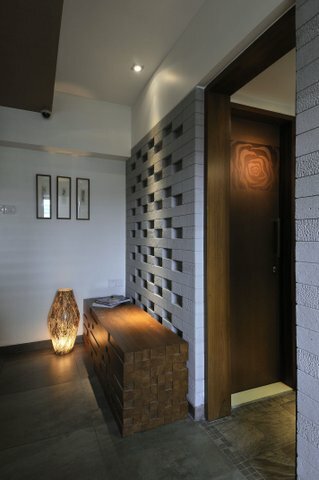 Much of the furniture is custom made and sourced locally from Goan brands. Our favourites among these are the lights by Soto Décor and AKFD. Ceramics by Delhi-based brand Claymen add an element of whimsy to the décor. Wicker Chairs with a Concrete Base Table. 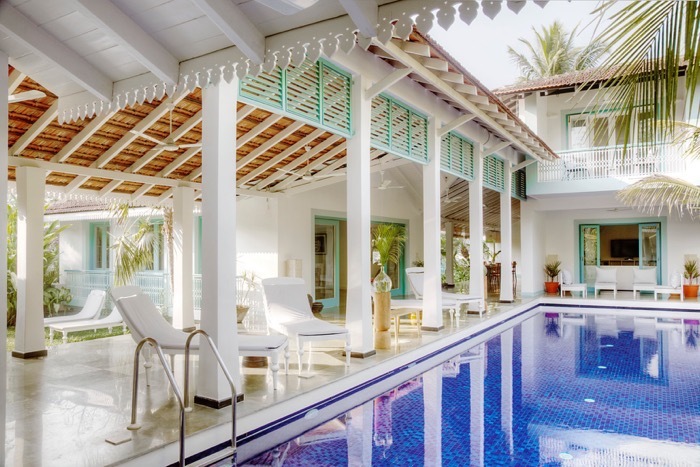 It is this masterful bridging of old-world charm and sophisticated living that makes Assagao Bay a perfect retreat, and a seamless extension of the rustic Goan ethos that surrounds it. The Monochrome chair adds an element of stark modernity.